Yesterday’s sunset presaged a bright, sunny day, but I was inside for most of it. 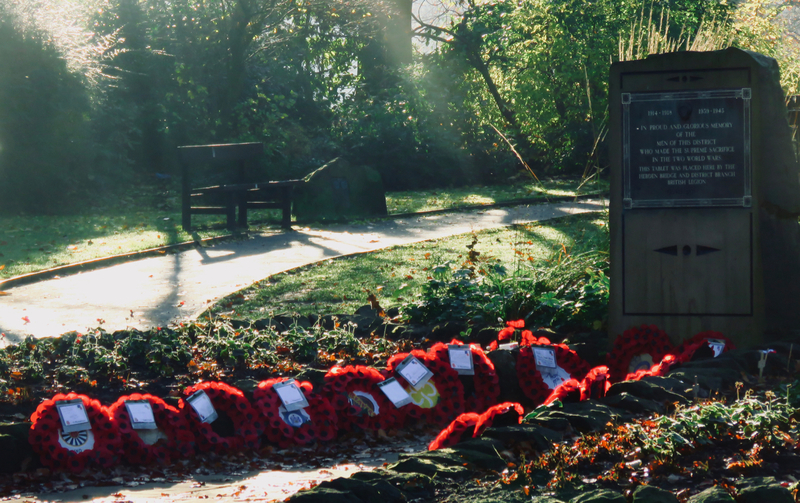 A brief foray out this morning did at least offer the opportunity to get my tribute in for the 100th anniversary of the armistice that ended World War 1. Four days late, but the poppies are still in formation. Unlike the other Channel Islands, Alderney was completely evacuated in June 1940, eight days before the Germans arrived to occupy it for the next five years. Because of the lack of a civilian population, they pretty much did what they liked here, fortifying the island to an immense degree (to the extent that the Alderney garrison did not surrender until 16th May 1945, a whole week after VE Day). The labour that this required was undertaken mostly by Russian POWs, who were housed in four camps, or lager, each named after German North Sea islands. Lager Sylt was the camp for Jews, run by the SS, and along with nearby Lager Nordeney was thus the only concentration camp — so far — to have been built on British soil. 400 graves of prisoners have been identified on Alderney but many more are estimated to have died here. 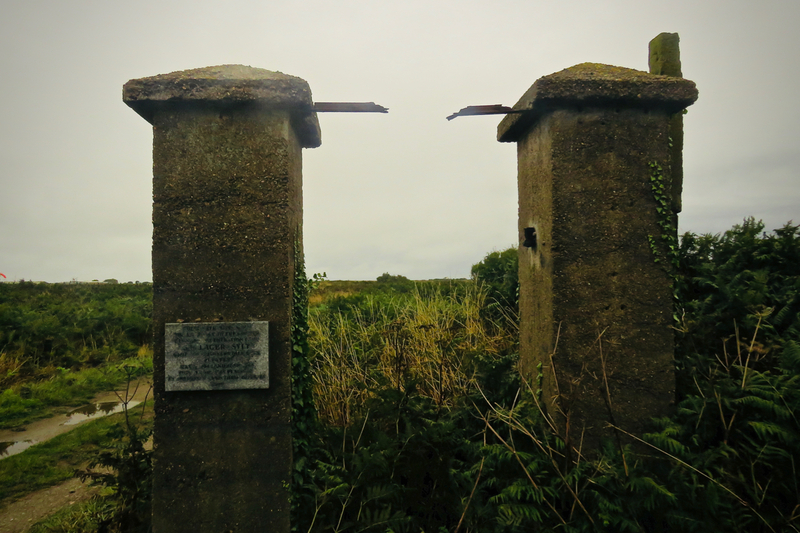 The only remaining sign of any of the camps are these old concrete gate posts, on the edge of the airport, and the small plaque affixed thereon, fading text declaring that this was the entrance to Lager Sylt. World War 2 too often gets treated as some big nostalgia kick. But it’s worth remembering that all those years, all that effort and suffering and hardship, was fought for poor bastards like those prisoners, to stop this kind of thing ever happening again. As time passes and the ruins moulder away, there’s a risk that some people are forgetting this. Seeing as I missed the Victory Day celebrations yesterday let’s pay homage with this shot. 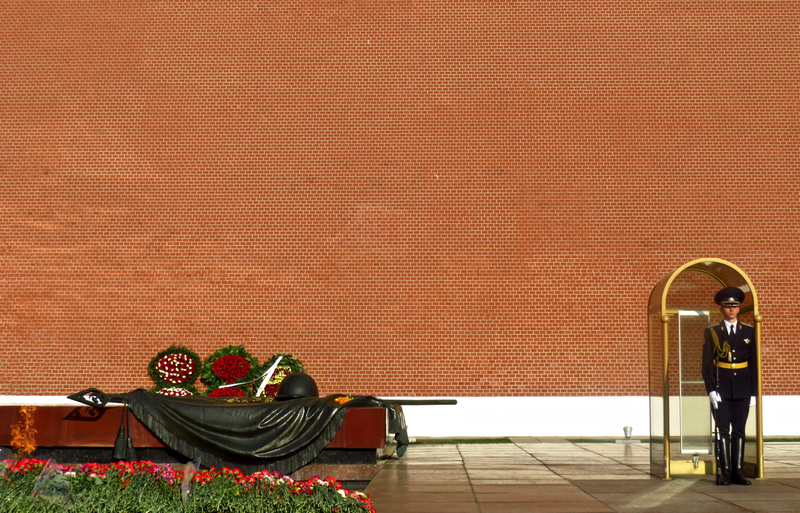 The Russian Tomb of the Unknown Soldier lies below the monumental west wall of the Kremlin, at one end of a row of memorials to various Soviet cities, all decorated since yesterday with garlands of flowers. I think we citizens of elsewhere mostly forget that it was the Soviets who lost the most men (and women) of all the countries who fought in World War Two. They have a right to remember the dead. Perhaps not to celebrate them — but to remember them.